Gone are the days of begrudgingly accepting the misery and dread that comes from weekly trips to the laundromat. When you hand over your laundry to the pros; you’ll feel a new sense of happiness, relief and long-lasting confidence knowing you won’t have to squeeze last-minute laundry trips into your busy schedule. Because, let’s be honest, you only do your laundry until you absolutely must. When you’re down to your last pair of undies and you literally have nothing else to wear, am I right? Never again will you have endless laundry tasks draining your energy and chewing up your free time. When you break free from the shackles of laundry day; you’ll get an instant boost of energy and unlock an incredible amount of free time to dedicate towards your passions and projects that really matter! Your weekly ritual of mindlessly burning through countless hours of tedious laundry chores will come to an end. You’ll be one of the rare few who love laundry day and have the free time to relax and do more of what you love. Never again will you be just another person stressed out and buried under a huge pile of dirty clothes. Instead, you’ll have the edge of getting a head start on your week. You’ll have peace of mind knowing that all your laundry was washed the correct way and according to your specifications – guaranteed. We won’t only make you look sharp, we’ll change your life! When left un-cleaned; washing machines and dryers become breeding grounds for bacteria, viruses, molds and other nasty things that can lead to sicknesses. That’s why we make it our priority to clean all washing machines and dryers daily, while sanitizing each machine frequently. Each washer is run through several cycles of hot water and vinegar. This solution blasts mineral buildup and old soap scum away. 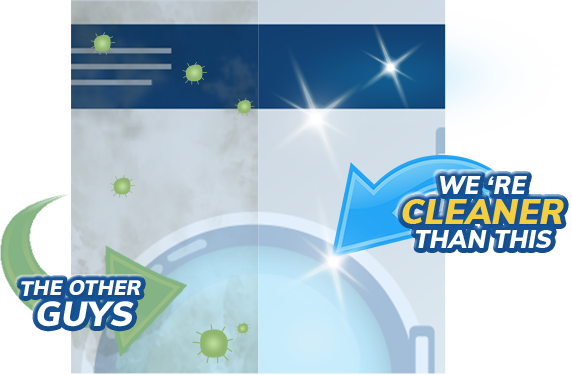 Next, we spray disinfectant into each washer’s chamber to do a final clear-all of hidden germs, bacteria and viruses. Lastly, we sanitize the exterior of the machines, by cleaning the control panel as well as the buttons and lids that are frequently touched. Enjoy using the machines without risking catching all the previous users’ germs! The last thing you want is to wash your valuable items in recycled, free or well water. After all, you paid good money for your garments; it doesn’t make much sense to wash them in toilet water! 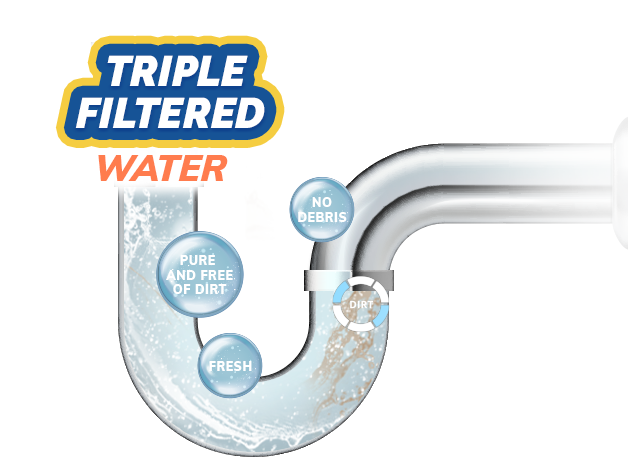 That’s why our water is always purchased fresh and filtered three times before entering the chamber of each washing machine. The end result: your laundry is only washed in pure, refreshing water. This stops clusters of dirt, fabrics and stray chemicals changing the style of your clothes. Massive laundromats tend to mix your clothes in with everyone else’s dirty laundry. If that thought alone isn’t enough to keep you up at night; maybe whatever rubs onto your clothes from your neighbors’ dirty laundry will be! That’s why we go the extra mile to respect your personal hygiene: your laundry will never be mixed, stored or washed with another person’s dirty clothes. When you receive your washing from us, you can feel relaxed and confident knowing you’ve trusted a laundromat that looks out for your best interests. Onboarding is vital for keeping our services top-notch. We cut waiting time down by having a team of proactive staff readily available. Your basic details, washing needs and item-washing preferences are safely & securely stored on our database. At the simple tap of a button, all your details will be instantly available, so you rapidly breeze through your laundromat trips. Your items will be tagged for tracking. Throughout the entire process, from start to finish, we’re able to keep an eye on your garments so you don’t have to stress about losing them. We also have video cameras which record our process at the counters. This lets us constantly review weaknesses and improve our services so your items never go missing. 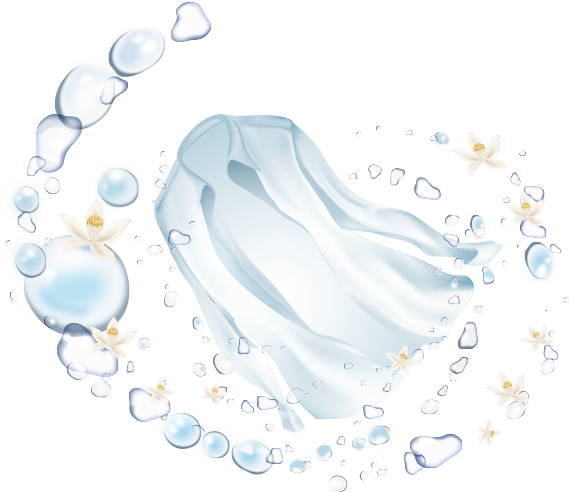 Our brand-new, top-of-the-line washing machines are cleaned daily, sanitized frequently and use triple-filtered water. The end result: you get a devastatingly high-quality clean that leaves your items looking spotless. Our cutting-edge dryers leverage the latest technology to dry your clothes gently, yet thoroughly. Enjoy confidently walking into any room with a crisp set of clothes that make heads turn. Before carefully folding, bagging and racking your items; your garments are thoroughly inspected at several points by a team of professionals. Any items which aren’t spotless are re-cleaned to meet our standards. 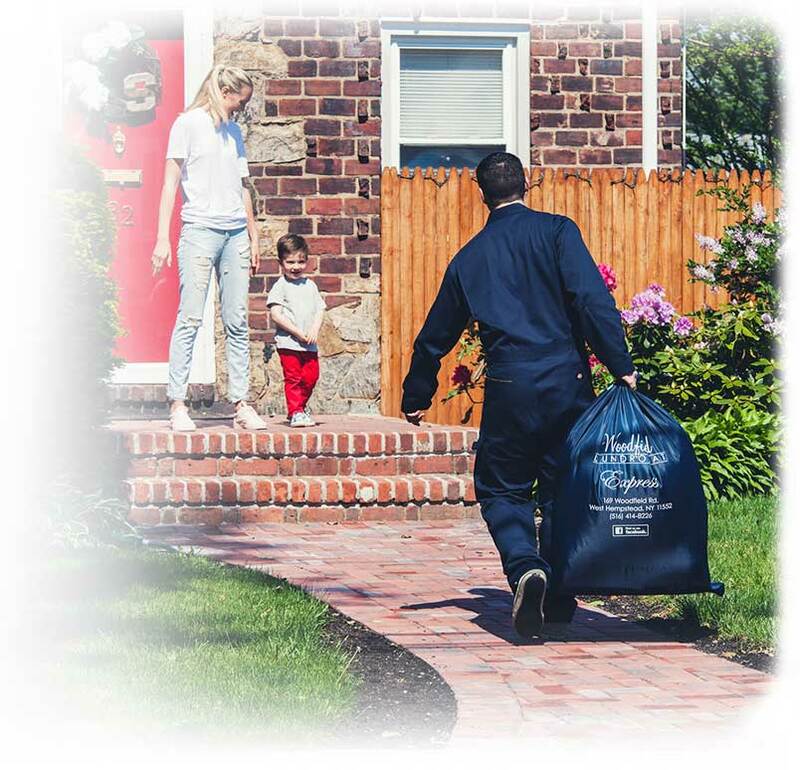 If you’re still not satisfied, you’re covered by our guarantee; we clean until you’re happy. Your items are packaged and stored safely and securely on an automated rack system. Upon your arrival, the rack allows for a swift, effortless and almost instant collection so you don’t have to waste time waiting for retrieval. Checklists help us nail both major and minor details throughout every step of our process. Checklists are crucial in helping our team function like a smooth, well-oiled machine that consistently cranks out rapid, high-quality washes. We strive to deliver top-notch service to every customer we have. To do this, we constantly analyze our processes in an effort to boost service speed and quality. When you give feedback, we listen. We then tailor-make solutions based on your suggestions, because simply knowing is not enough, you must apply!